Purchasing Baby Planet Online was super easy and straight forward which was good because, between my baby brain and the daunting realisation that we were making such a big investment on a baby’s travel system, I felt like I was ordering a Boeing 747. But they were really breezy and took me through the order process with ease. 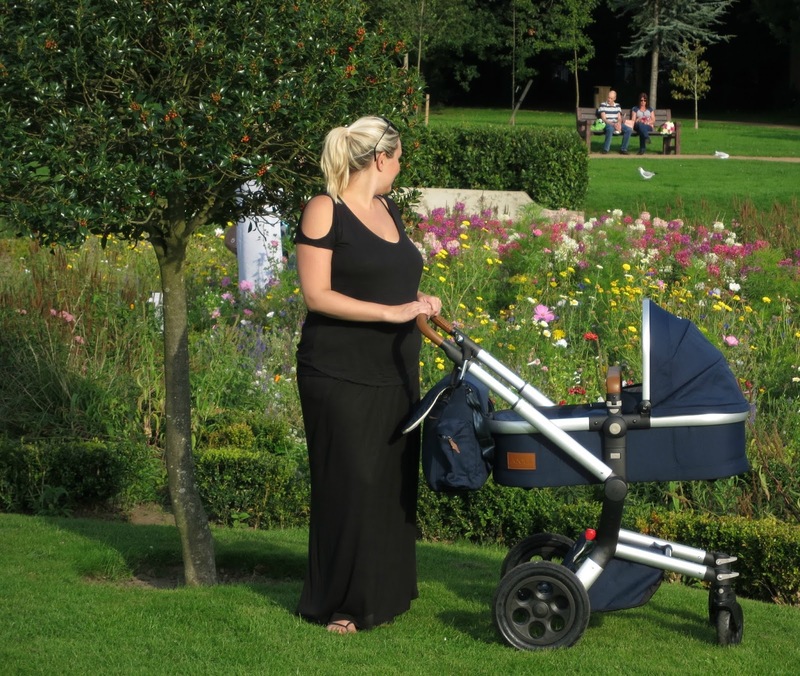 The Joolz Day Earth (in Parrot Blue) is a dream pram. It’s light. It’s smooth and it’s so easy to manoeuvre. With it’s adjustable handlebars it’s comfortable for my BFG Hubster as well as my hobbit mum. Everyone who was previously on the ‘you want to spend how much on a pram? !‘ committee, has now moved across to the ‘it’s my turn to push’ party. I told you so. This pram is for the town stroller, not the weekend rambler. It’s way too pretty a pram to be caked in cow pat and hiked across fields. So if you’re the country bumpkin type I’d say pick a more robust and less-sleek looking kind of pram, because if you’re anything like moi, then you’ll be scrubbing off every spec to keep your dream machine in pristine condition. Yes, being a new mum I couldn’t tell you when I last brushed my hair, but if there’s a splash of dirt on my pram, it’s coming off immediately. They say your priorities change don’t they. Folding the chassis at first was like auditioning for the Krypton Factor. Being new parents we left this key part to owning a pram to after baby had arrived (wise move), leaving the Hubster sweating under pressure as he (and the rest of my family) took it in turns depicting the online video demonstration, second by second to suss out where they were going wrong and why the blasted frame wouldn’t fold. Thankfully he went to our nearest in store stocking the pram to seek advice before he threw my gorgeous new wheels out the window before I’d even had a chance to Instagram it. God forbid. Of course it was something uber simples. But we won’t go in to too much detail…you know men and their pride for being supersonic when it comes to assembling anything. But needless to say, it’s easy peasy once you know how. There is only one downside to the gorgeous Joolz Earth, but nothing that would actually put me off purchasing this pram again in another lifetime or recommending it to friends. Firstly, the shopping basket is on the pokey side. It’s large enough to hold the rain cover and a few essentials, but not big enough to hold (hide) the evidence of a sneaky shopping spree, let alone a loaf of bread. But of course I’ve worked around this by purchasing a genius little contraption that hooks onto the handle bars. Phew. The Joolz Geo has a larger shopper and can be adapted to have both the toddler and baby (or twins…eek!) seats at once. We didn’t opt for this style because it’s a little more pricey and I didn’t want to completely push my luck by asking for the more expensive pram just for the larger shopper. That would have gone down brilliantly with the Hubster. Not. Like most newborns, Elsie doesn’t sleep. 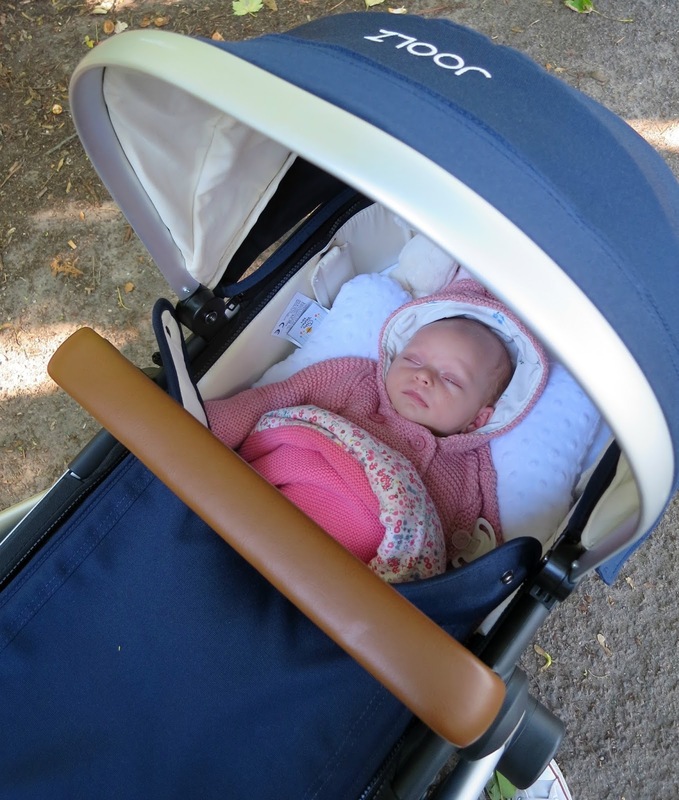 (If your one does, then please lie to me and say it doesn’t, just for my sanity’s sake) We quickly discovered that she didn’t rest easy in the carrycot part of the pram without her being wrapped up tightly to make her feel more secure. So unless we’re heading out for more than a few hours I tend to leave her in her Maxi-Cosy Pebble, as she feels more snuggled which helps her to sleep for longer. If we’re lucky. 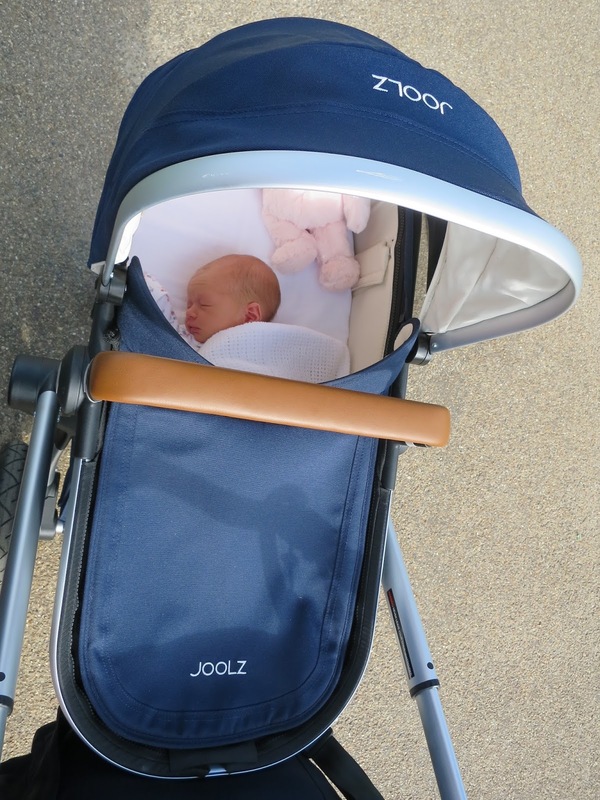 Thankfully Joolz offer a range of carseat adaptors for their prams which slot on the chassis just as easily as the pram carrycot or high seat. The high seat can be secured parent or forward facing, which also acts as a high chair in restaurants too. If you can face eating out with a baby that is…we’re still in the ‘cut my dinner up and I’ll eat it with a spoon phase’ so eating out will require a babysitter no doubt. I’ve officially become a pram snob and I’m not ashamed to admit it. I’m so chuffed with our Joolz. It’s like having that dream handbag you’ve always had your eye on and you get excited every time you use it. With the only difference being is that it’s contents are much more precious, that it makes your heart burst every time you peer inside it. Disclosure: I was very kindly offered a discounted package with Baby Planet Online and Joolz UK in exchange for this review. As always all opinions are my own and have not been influenced in any way. Thank you for supporting the brands that make this blog possible.